We specialise in both new and used caravans. We are main dealers for Elddis and Lunar Caravans and provide a pleasant, relaxed, outdoor environment to look over these models at your leisure. You will be left alone unless help is requested from one of our helpful assistants. Please contact us if there is any specific model you would like to view. Elddis is a well-known brand and dominant force in the British caravan market. A heritage stretching back to 1964, together with a strong and widespread retailer network has established Elddis as the product of choice for many loyal customers. With an unmatched sense of elegance, style and specification, the Lunar Caravan Collection beckons you to experience the ultimate in lightweight luxury touring. With stunning models, sophisticated layouts and specifications beyond compare, the collection brings dream holidays to life. 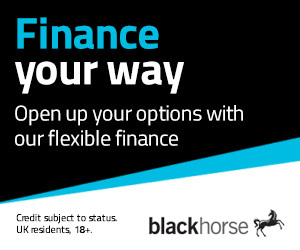 Black Horse Caravan & Motorhome Finance can help you buy the caravan of your dreams. Ask us about their finance schemes which provide you with affordable finance with the minimum of fuss or hassle. Finance is only available to persons aged 18 years or over, subject to status. Indemnities may be required. We can help with caravan insurance for New Caravans and Used Caravans.